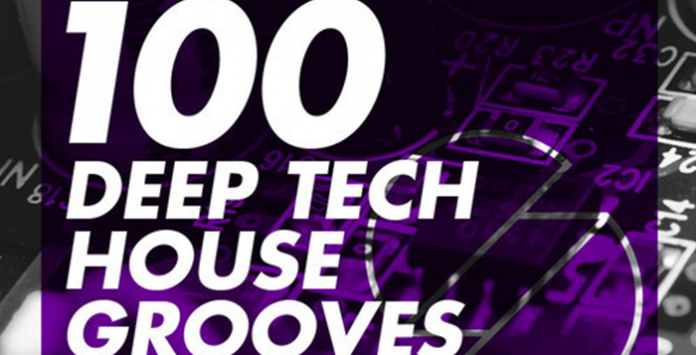 System 6 Samples Presents, ‘100 Deep Tech House Grooves‘! Created using the most sought after analogue processors, including the UA 1176 and the classic LA3A, S6S has injected this pack with the warm vibrations of these classic units. Packed full with deep and melodic kick free loops, layered with cutting edge drum and percussion tops, it will provide you with the best sounds to take your productions to the next level. System 6 Samples has ensured that this, their third pack to date, is exceptionally versatile and would suit producers of many genres whether it be House, Deep House, Tech House or Techno. In this pack you will find 50 individual sonic grooves with 2 variations making each loop incredibly multifaceted in its adaptability. Whether it be analogue bass layered with deep chord stabs or perfectly tuned percussion rollers, each loop is designed from scratch to add that sonic depth, which is all too familiar within the Deep Tech House sound. The only hard part is deciding which groove to use first! This is the perfect affordable addition to your sample collection. Let’s get deep! Included in this pack is 100 24 bit wav files with 50 grooves in 2 variations. Please Note: All kicks and fx used in the demo have been taken from System 6 Samples Packs, ‘Dirty Funkin House‘.